On Wednesday (18th March), fourteen authors across the world were been named as the contenders for the Man Booker International prize. 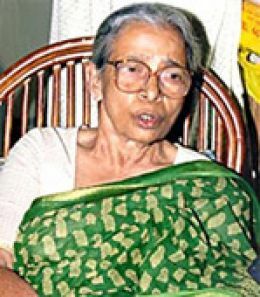 The long list of writers includes the name of prolific veteran Bengali writer Mahasweta Devi. Sir V. S. Naipaul is also included in the list. In all 14 authors from 12 countries have been nominated for Booker Prize, which is one of the most prestigious literary awards in the world. The prize given in two years carries prize money of 60,000 pounds and can be won by any author worldwide, provided their work is available in English.